An upper ridge is centered over WSW Europe while deep trough pushes across ENE Europe. An associated cold front moves across Balkan peninsula. 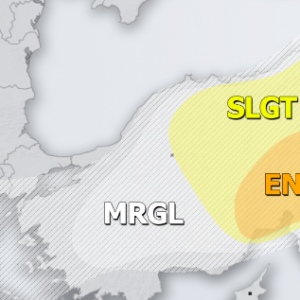 A MRGL risk has been issued across N Italy, WSW Slovenia, central Italy and W Balkan countries where some isolated threat for marginally large hail and severe winds exists. A MRGL risk has been issued across E Turkey into Georgia for some isolated threat for marginally large hail and severe winds exists. 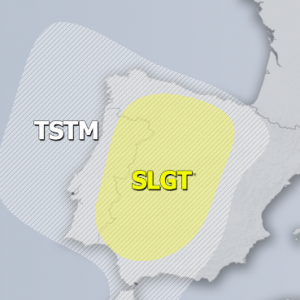 TSTM risk areas are placed where some storms are expected, but will remain sub-severe.